Ten of the biggest new releases on the App Store this week. We're back! Thursday's rolled around far quicker than the weekend ever seems to, but at least we've got a fresh batch of App Store games to get stuck into. As always, we've picked out the ten biggest games we think you should be checking out. "The Force is strong with this one. Get ready for Angry Birds Star Wars II - the epic follow-up to the #1 smash hit game! Based on the Star Wars movie prequels, use the Force for good against the greedy Pork Federation or choose a much darker path. That's right; for the first time ever you can âJoin the Pork Sideâ and play as the fearsome Darth Maul, Emperor Palpatine and many other favorites!" "Inventor Flint Lockwood has discovered that his beloved home of Swallow Falls has been overrun by extraordinary (and kind of adorable) foodimals: food-animal hybrids! Join Flint, Sam, Steve and other favorites on a deliciously dangerous journey back to Swallow Falls!" "Return to the wilderness in the most visually stunning hunting simulator on mobile! Travel from North America's Pacific Northwest to the Savannah of Central Africa in an epic journey to hunt the world's most exotic animals!" "Captain Jack Sparrow in a sports car racing Dash, Sulley climbing mountains to find Cinderella's Castle. Create anything your imagination dreams of. Sync to your console game for complete cross-platform play, and unlock even more props, characters and decorations!" "The infamous Beagle Boys have swindled Scrooge's fortune! It's up to you to join the citizens of Duckburg to recover his stolen loot! Team up with your friends, and haul back the most riches to beat the competition in this mad gold rush. Get ready for a ton of action-packed fun and appearances from classic DuckTales characters like Scrooge and his quirky pilot, Launchpad!" "Incredipede is a puzzle game that celebrates the vast diversity of life in the world. Follow Quozzle, a lone Incredipede with the unique ability to grow new arms and legs wherever she needs them. Transform into a snake, a spider, a horse, a monkey - anything you can imagine." 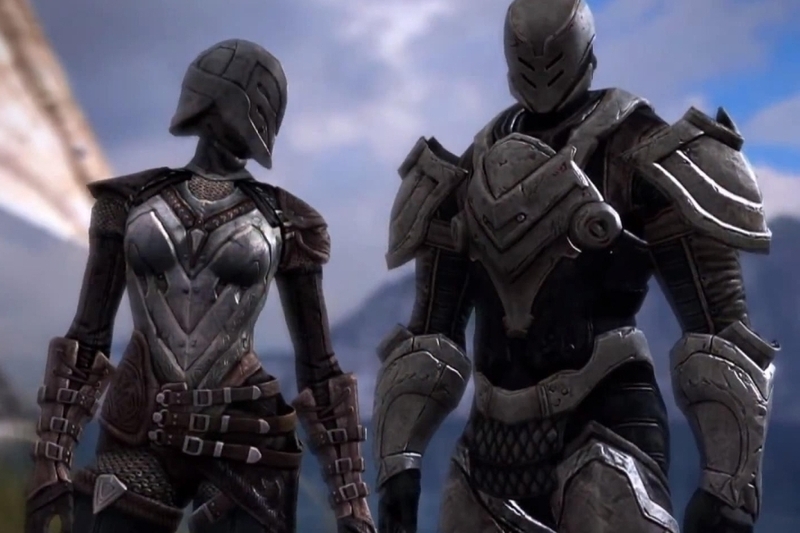 "The award-winning Infinity Blade video game trilogy reaches its epic conclusion! Siris and Isa have joined with the God-King Raidriar in a desperate attempt to destroy the Worker of Secrets and his army of Deathless titans. Uncover new mysteries to wield the power of the Infinity Blade in this timeless adventure of champions and villains." "Jump into the action and sprint into the endzone in this new endless runner brought to you by the NFL! Pick your team, test your reflexes and see how far you can run. Dodge linemen, collect stars and power-ups, and upgrade your player's abilities. Compete with your friends to see who can get the furthest!" "Choose a fighter and challenge the world online! Solve puzzles to build up your fighter's stamina before a fight. More stamina means more attacks but choose your attacks wisely. Different attacks are a trade-off between power and stamina. Customize your strategy for each of your fighters at any time to challenge other Players and to set up a winning strategy while you're away." "Be Riddick - the iconic antihero - and avoid the bounty hunters that tracked you down across the stars. Escape them, trick them, or eliminate them; you choose your own path in this touch-based stealth action game from the creators of Chronicles of Riddick: Escape from Butcher Bay."